With more than 23 years experience in Software Engineering, Rocco started his career as a software developer with AT&T. Afterwards, he joined a Lucent Technologies team that supported the LMOS project and quickly became a Team Lead where he helped deploy a multi-million dollar project on LMOS upgrading hardware and software. 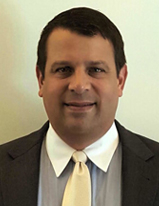 Joining Tekmark in 2001 as an employee and technical Lead on the LMOS project, Rocco transitioned into a director role in 2009 and expanded his knowledge base to include customer service support and performance testing of mobility products. Today, as the Technical Director of the Software Engineering Team in our Red Bank Solutions Center, Rocco’s main responsibilities include directing 30+ Software Engineers and Testers to support and maintain multiple Telecom systems. Rocco also has experience with Remote Teams that work 24X7 on streaming video systems to consumer devices. Additionally he leads a team of Performance Testers that evaluate third party vendor applications. Rocco graduated from The University at Albany with a bachelor’s degree in computer science and applied math.